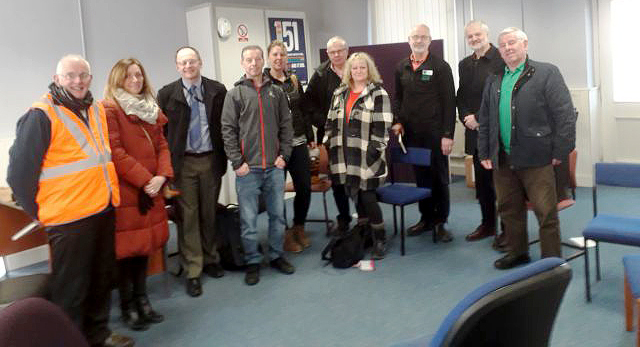 Organisations in Dumfries met at the station on 31 January to hear from the Kilmarnock Railway Station Heritage Trust how it manages community use of accommodation, and agreed to take forward the creation of their own trust to bring together gardening, cycling and other potential interests. Also represented were the Railway Heritage Trust and the River of Life Church, which is already at the station. In the coming weeks members of the group plan to visit Kilmarnock so as to see for themselves what has been achieved there. Dumfries Station is unique in hosting a Farmers’ Market, and this year will be the first to take part in the Scotland’s Gardens Scheme programme of open days. Hosted by ScotRail’s Community Team in partnership 6VT (Youth CRP) and supported by the ScotRail safety team, this interactive session offered participants the opportunity to learn about the support ScotRail can offer them when travelling on their services for the first-time with a pram/buggy and young children and to discuss in a comfortable surrounding any concerns/issues they might have. 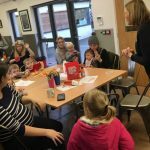 The event was held at the Edinburgh Youth Cafe and was attended by members of 6VT and ten young mothers and their children. 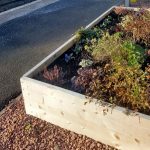 The new planters have ben supplied and tended by Action Old Kilpatrick funded by ScotRail with support from Murphy Contractors. Gone is the station’s boarded-up look of the last thirty years as new windows have been installed ahead of its forthcoming use as an office.